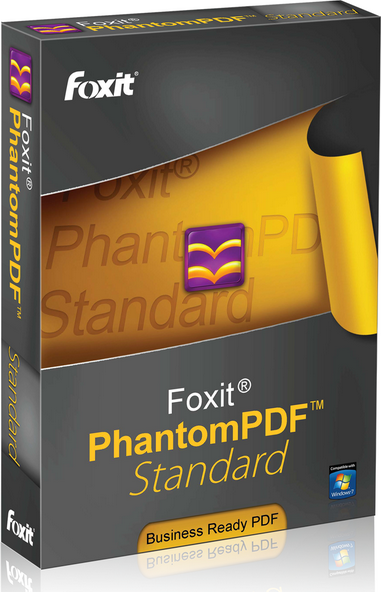 Foxit PhantomPDF 9.0 - универсальная программа от Foxit все в одном, теперь Вам не надо будет скачивать по отдельности каждую из программ Foxit для просмотра, редактирования и создания и организации PDF документов. Программа является отличной заменой для известного Adobe Reader. Среди главных преимуществ программы разработчики указывают на ее небольшой размер, малое время запуска и более высокую скорость создания PDF-документов. С помощью программы вы сможете также сливать и разделять PDF документы, удалять и вставлять новые страницы, создавать электронные формы и примечания и многое, много другое. Программа позволяет конвертировать почти все документы, которые могут быть распечатаны на принтере в формат PDF, включая файлы DOC, PPT, TXT, HTML и многие другие. Также вы сможете создавать PDF документы напрямую со сканера, позволяя без лишних усилий создавать электронные версии бумажных документов. • Evaluates the accessibility of PDFs and fixes accessibility issues in PDFs to make it easier for users with disabilities to use PDFs, with or without screen readers or other assistive software/hardware. • Supports accessible reading and navigation by setting accessibility preferences that control the document display and reading order, using keyboard shortcuts, and reading PDFs in reflow view. • Exports PDF to accessible text that can be converted to a form that vision-impaired users can use. • Allows users to view PDF documents that are compliant with parts of PDF 2.0 reference to keep up with the ISO development process. • Provides interfaces to allow users to use VBA scripts to have PhantomPDF work with Microsoft Office, including PDF conversion from Excel, PDF form filling, OCR, and more. • Offers reflow editing mode for users to edit document content in a continuous mode, like in a word processor. • Allows users to find and replace text in a PDF document, a useful time-saving feature for document workers. • Enables users to add protection to PDFs with WIP system that helps to protect against accidental data leak on enterprise-owned devices and personal devices. • Provides a FIPS mode to make data protection compliant with Federal Information Processing Standard (FIPS). • Finds a command by typing the command name and bring features to your fingertips with ease. • Adds the “Destination” panel to allow users to create and manage named destinations in a PDF which can be used to link to from different positions in a PDF. • Allows users to select an area in PDF and export it to Word, Excel, PowerPoint, HTML, and Rich Text formats. • Adds an approved trusted list of digital certificates for convenient signature validation. • Enables users to edit PDF with Type 3 font text with the Edit Text and the Edit Object tools. • Protects PDF files using the Microsoft PDF V2 IRM Specification. • Supports importing form data from a .csv file. • Supports exporting digital IDs to .fdf files.